Mandarin Stone was founded by Alma Small in 1989, almost by accident... she was approached by the owner of a roofing slate company to market a large consignment of flooring slate. Nearly twenty five years later the company remains within the Small family and every member plays a key role. Set in the rolling hills of Monmouthshire, Mandarin Stone has grown considerably over the years. It has several warehouse sites in Monmouth together with ten inspirational showrooms throughout the UK, located in Bath, Bristol, Cardiff, Cheltenham, Exeter, Marlow, Monmouth, Weybridge and Wilmslow as well as Cambridge which opened June 2013. As a UK market leader within the natural stone industry, Mandarin Stone have carefully formulated an extensive product range to offer design concepts for both residential and commercial projects. Over 100 different lines including Limestone, Marble, Slate, Travertine, Sandstone, Schist, Terracotta, Granite, Basalt and an ever expanding portfolio of Porcelain, Ceramic, Decorative & Glazed tiles, are imported and stocked to high levels, allowing them to be delivered within short lead-times. Tiles for living, tiles for loving! Handpicked by a team of enthusiastic design professionals, Baked Tiles inject personality into all manner of design projects, with great quality at affordable prices. R. White and Sons Tiling. R. White & Sons Tiling is a well established business throughout the Bristol area that started in 1971. Originally a father and son's company. 'Dean white' one of the sons took over the business in 2000. The company mainly survives on word of mouth and has done so for years, but in recent years has also made an online appearance. 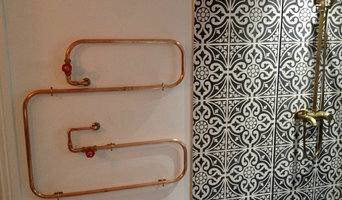 The company has a combined knowledge of over forty-five years experience in the tiling industry. See Website for more details. Clifton Stone are stone merchants with over 25 years’ experience in sourcing and supplying natural stone flooring and natural stone walling. We supply a wide range of limestone, sandstone, basalt, slate, marble, granite, travertine and porcelains and can advise you on the best options for your bathroom, kitchen, conservatory or living room. Some of our stones work well outside too. Our Showroom in Clifton, Bristol in the South West of England is within easy reach of the M4 and M5, so is easily accessible from Somerset, Wiltshire, Devon, Dorset, Gloucestershire and Glamorgan. If you are looking for Cotswold Stone or Ham Stone, we have great alternatives, attractively priced. 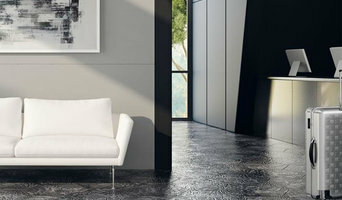 As an established company with more than 30 years experience in the tile industry, we now offer one of the most comprehensive product ranges of any company in the UK, backed up by a service that’s second to none with reliable and knowledgeable staff. Collinson Tiles... style, quality and service at an affordable price. 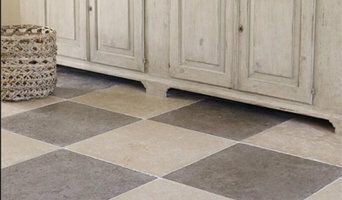 A fantastic range of tiles for your walls and floors, family owned & run since 1908! We are an established Floor & Wall tile company since 1999. Based on Aberaman Ind Est, Aberaman, Aberdare CF446DA, We carry a vast amount of interior and exterior floor and wall tiles, from your basic white ceramic tile to your hard wearing porcelain and wood effect tiles, we also have a large range of mosaics and accessories to complete the finish. We are proud to present our collection of Victorian reproduction tiles, The Victorian Collection is manufactured in Europe to the highest production standards in a modern efficient plant. Traditional colours and designs feature strongly of course, but softer more contemporary colours are also included to make The Victorian collection a complete package. We love our Encaustic tiles, very passionate about them, we handmake each and every one of our encaustic tiles in our own workshop in Marrakech. Our tiles are sold worldwide. Based in Bristol, we can be reached by phone, email or visit our warehouse in Bristol or Marrakech. Delivery can be arranged worldwide. Next day delivery to most UK postcodes. Commercial inquiries welcome. Please contact us if you have any questions or you want to discuss bespoke tiles and designs. Debbie. Established in 1999, we are a family run business specialising in commercial works, such as shop fronts, cladding, bar tops, reception desks, flooring & staircases fitted to the highest standard including survey template production & installation. We have fitted bar tops for Marriott Hotel Twickenham, vanity tops & fireplaces for Clevedon Hall, Technistone composite quartz worktops for Harry Powells showroom in Clevedon & we also supplied the new display at the Portishead kitchens showroom. We specialise in solid surface materials, particularly natural granite for kitchen worktops, as well as the very popular composite quartz, such as Technistone, Diresco and Silestone and honed matt black granite for fireplace hearths. Worktop installers and tilers in Cardiff can advise on the best tiles and materials to use based on your tastes and requirements and then will be able to install them to a high finish in your home. Kitchen worktops are a major part of your kitchen – you need surfaces that will be scratch and heat resistant, but at the same time still look attractive and work in harmony with your kitchen units, splashback and other kitchen elements. A worktop manufacturer and installer will be able to fit new kitchen worktops or replace old ones with ease, helping you to pick out the best kitchen worktops for your home first. Tiles are so versatile that they can be used in kitchen splashbacks, floors, bathroom walls and as decorative designs elsewhere in the house. Tile manufacturers and tilers in Cardiff will have a great range of tile designs, sizes and materials to choose from and will help you to pick the best tile for the job. Laying tiles may look easy sometimes, but one badly laid tile can ruin a whole floor or wall, so it’s really best to leave it to a skilled tiler. With Houzz you can find Cardiff tilers, tile manufacturers and worktop installers near you and check their previous projects, reviews and ratings to decide if they’re a good fit for your home design project. Why should I hire worktop installers or tilers in Cardiff? Perfectly laid tiles and worktops can look simple and seamless once finished, but installing them is far harder than it looks. 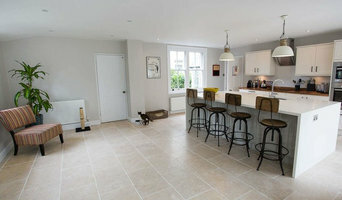 It really pays off to hire a Cardiff tiler or worktops professional as they will have the experience and expertise to finish the job efficiently, quickly and to a high quality. From metro bathroom tiles and porcelain tiling, to kitchen worktops, splashbacks and travertine floor tiles, there will be a tiler or worktop professional who can install the surface you need for your bathroom or kitchen design. There will even be tile and worktop repairers to help you if you need a quick fix-up to your surfaces. Tile manufacturers, worktop professionals, and often tilers in Cardiff themselves, will also be able to advise you on the right materials to use if you’re not decided on one particular type. They can tell you the advantages of the different flooring, wall tiles and kitchen worktops so you can make the right decision for your home. If you’re after a bespoke tile pattern, mosaic or mural created and laid in your house, this will also be possible with Houzz as we list such a wide range of tile manufacturers, worktop professionals and tilers in Cardiff. It could be the case that you can find a design or construction company that can offer tiling and worktops as part of their work, whilst also undertaking other projects for your house redesign, so it’s worth looking out for these professionals, too. Here are some related professionals and vendors to complement the work of tiles, stone & worktops: Interior Designers, Architects & Building Designers, Main Contractors, Kitchen & Bathroom Designers, Design & Build. What are the best kitchen worktops for my design? Which tiles are best for bathrooms? How long have you been a tiler or worked in the kitchen worktops business? Are you tile manufacturers or do you source your tiles from elsewhere? Do you manufacture your kitchen worktops yourself or source them from elsewhere? What training and affiliations do you have? When will this job start and how long will it take? What happens when the cost exceeds the budget I have specified? Can you recommend any other home design professionals that you work with? Find a tiler or worktops professional on Houzz. Narrow your search in the Professionals section of the website to Cardiff tilers and worktop installers. You can also look through Cardiff photos to find projects you like, then contact the contractors or tilers in Cardiff who worked on the tiling work or kitchen worktops.